I’ve been talking a lot lately about the Whole30, which makes sense. When you’re on the Whole30 your life pretty much revolves around your meals… planning, prepping, cooking, cleaning up… this coming from a FOOD BLOGGER and already plans, preps, cooks and cleans more than the average person… oy vey. Having a plan in place before you begin is vital to success on the Whole30, so I took the best meals we’ve made, lots of lessons learned and created a Whole30 meal plan I think you’ll love! 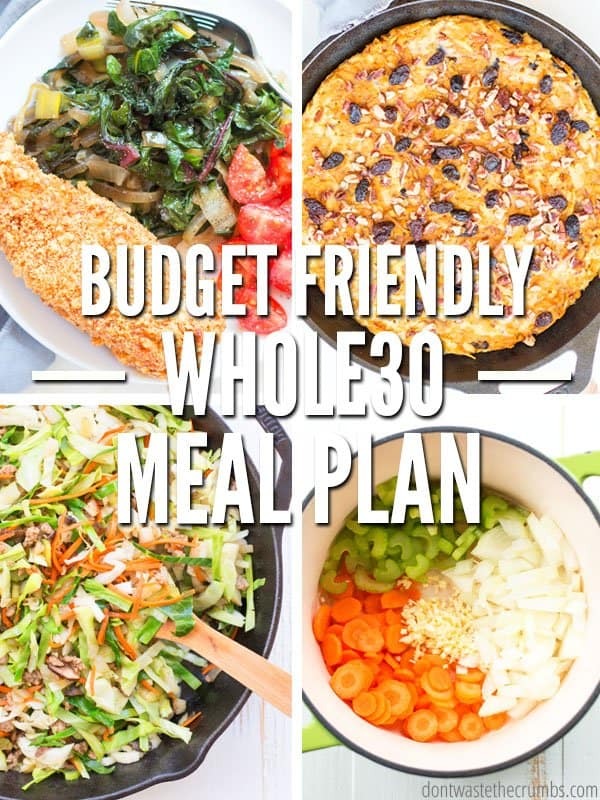 Click HERE to download the Budget-friendly Whole30 Meal Plan with recipes and shopping list. Psst! 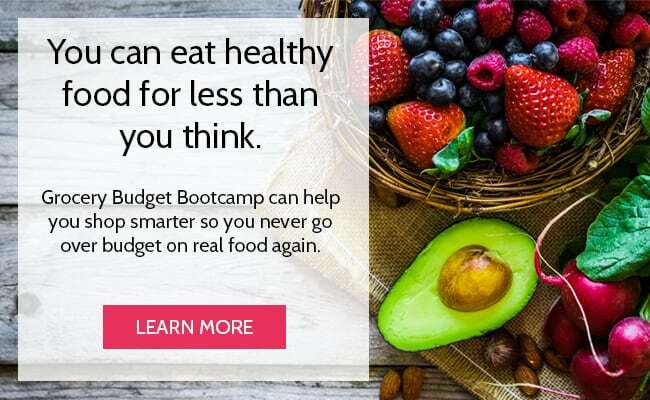 You WILL spend MORE money on the Whole30 because you’re eating more protein and a whole lot more fresh fruits and veggies… but you can still eat Whole30 on a budget. This meal plan balances the heart of the Whole30, with the numbers in the checkbook and the practicality of a busy life. If you have the extra funds, feel free to choose nicer cuts of meat and bacon! Always check the meal plan the day before. Nothing will ruin your plan like not having thawed meat or running out of potatoes. I suggest checking what’s on the plan for the next day, right before you cook dinner. This way you cover a lot of bases at once… you can prep (if you need onions for tonight and tomorrow, knock out both), you can pull meat to thaw and if you need to make a quick run to the store, you have enough time to check stock of a few essentials so it’s not a one-item-only trip. I HIGHLY HIGHLY HIGHLY recommend reading the entire meal plan through before you just jump in. Being on the Whole30 means you’ll be in the kitchen A LOT. It’s part of the territory. However, you can make your life easier by cooking in bulk and eating leftovers. I’ve done by best to include variety, but there are instances when you’re going to eat potatoes for 3 days in a row and this is part of being on the Whole30 too. Deal with it. This meal plan feeds 2 people. Most people who embark on the Whole30 do it with a partner, or do it alone. In either case, a meal plan for 2 people is easiest to divide. Or, if the kids are doing it with you (like ours are with us), then this plan is easy to multiply as well. I’m working on the assumption that you aren’t home all day. Most people don’t have the luxury of working from home or having schedules flexible enough to spend 2-3 hours DURING THE DAY prepping meals for the next couple days. With that said, I’m including a dedicated prep day. This will set your Day 1 and your entire Whole30 off on the right foot. 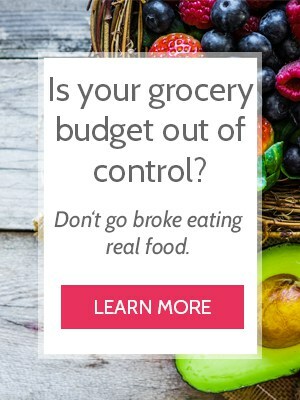 Before you go shopping for more food, make sure you eat what you already have. Use items that are about to go bad (and that are compliant) as side dishes, add them to your hash… whatever you have to do, eat them. You already paid for that food, and not eating it is throwing money in the trash can! Make Instant Pot whole chicken. Pull the meat off the bones. This will yield about 6 cups of shredded meat, enough for 3 lunches for 2 people. Peel and dice 20 carrots, 10 celery ribs; quarter 200 grapes, roughly chop 200 almonds. This will yield enough for 5 lunches for 2 people. Make a double batch of fail-proof mayo. 1 cup shredded chicken + ½ cup each diced carrots, diced celery, quartered grapes + ¼ cup chopped almonds + 4 Tbsp homemade mayo + salt & pepper. Mix it all up in a bigger-than-you-think-you’ll-need bowl. Egg roll in a bowl comes together fast, and that’s why I put it on the first day of the meal plan. One thing is constant on the Whole30 – there’s a lot of chopping, prepping and cooking. Take the time after dinner tonight to prep (even more) for the coming days! As tempting as it may be to eat the entire pan, be sure to set aside half of dinner for Day 3. See notes from Day 1. Almond-crusted chicken is so good, I’m 100% sure it will continue to be on our meal plan long after we finish the Whole30. 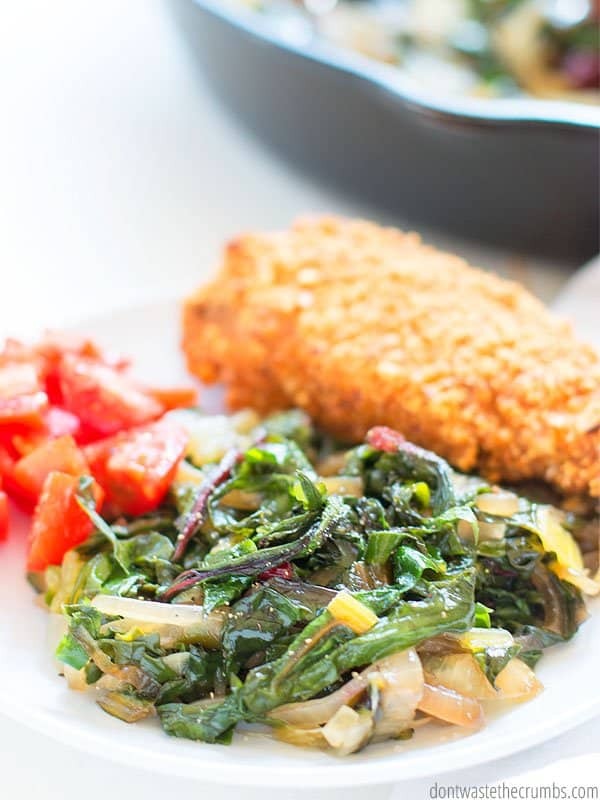 The onions and chard take the longest, so preheat the oven and get these veggies going in the skillet before you work on the chicken. We preferred boneless skinless chicken thighs for this recipe because they’re just SO moist, but use whatever you have and/or whatever is on sale. This is the asparagus recipe I was thinking of, but make it easy on yourself (and compliant) and use coconut oil and skip the lemon pepper seasoning. Despite the simplicity, it’s fantastic. Also, it will cook crazy fast, so don’t even bother until you pull the chicken out of the oven. The chicken needs a few minutes to rest anyway (it helps to lock in the juices), so tell your spouse to set the table while you finish the asparagus. Also be sure to double everything you make this night as you’ll be eating leftovers in a couple days. I know firsthand that Egg Roll in a Bowl makes a lot of food, so here’s your chance to take the night off from cooking… well, almost. Since dinner is “done,” spend the night getting ready for the next few days. 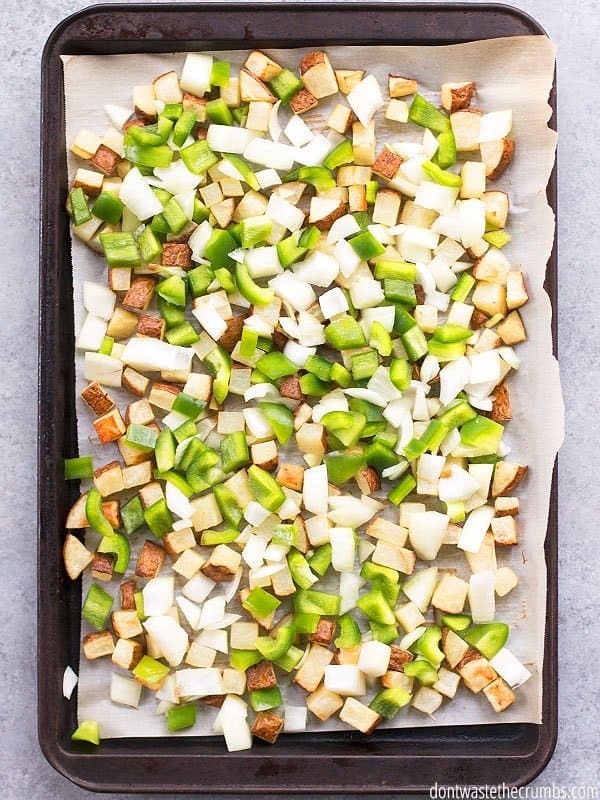 Make a batch of breakfast sausage and chop up enough fruit and vegetables to cover breakfast for the next two days. If you’re not sure how much you need, err on the side of too-much. It’s better to have leftover prepped veggies in the fridge than to run out of time in the morning to chop extras and end up hungry mid-morning. A veggie scramble is nothing more than a bunch of vegetables scrambled up with some eggs. I highly recommend including veggies you don’t normally have for breakfast, for variety. Olives, sun-dried tomatoes and spinach are all good options. This is one of my favorite meals because it all cooks on one pan!! I recommend taking advantage of the fact that your hands are free by shredding a few sweet potatoes and apples for breakfast on Days 5 and 6. You’ll be making a double batch in the morning and while it comes together quickly, the few minutes head start on the prep work really helps. While the oven is on, go ahead and bake sweet potatoes for Day 5 and 6 as well. You’ll need four. When dinner is done, pick all the chicken off the bones and make a double batch of Hawaiian Chicken Wrap filling (see below). 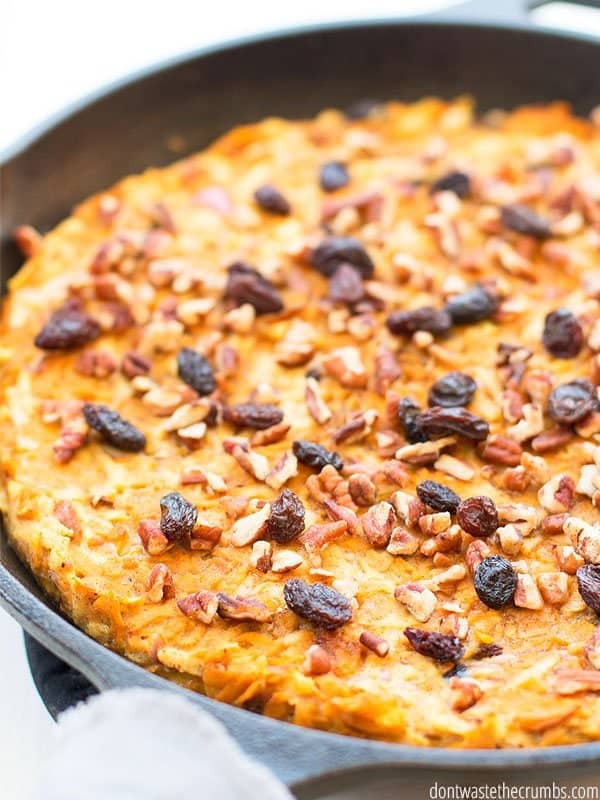 My kids LOVED sweet potato apple breakfast casserole, and I admit that it’s a nice break from same ‘ol same ‘ol at breakfast. You’re making a double batch, so save some at least half for breakfast tomorrow! Note: Tonight is a slow-cooker meal. Be sure to get that meat in the pot before you leave the house! Leftover shredded chicken + 1 cup diced pineapple + ½ tsp ground ginger + ¼ tsp red pepper flakes + ½ tsp salt + ¼ tsp pepper + ½ tsp granulated garlic + ½ diced red onion. Add 1-6 Tbsp coconut aminos so that the mixture is wet enough to hold together, but not drenched. 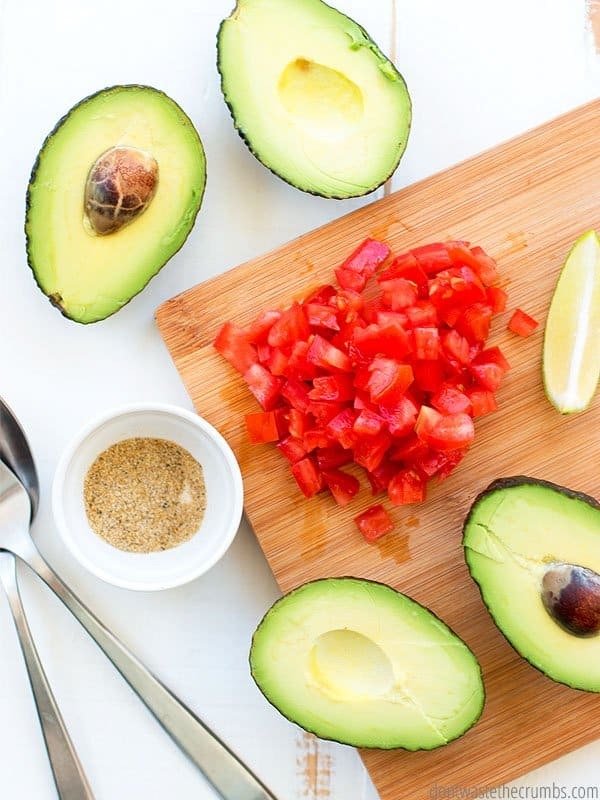 Serve in a double layer of iceberg lettuce and top with diced tomatoes and sliced avocados. 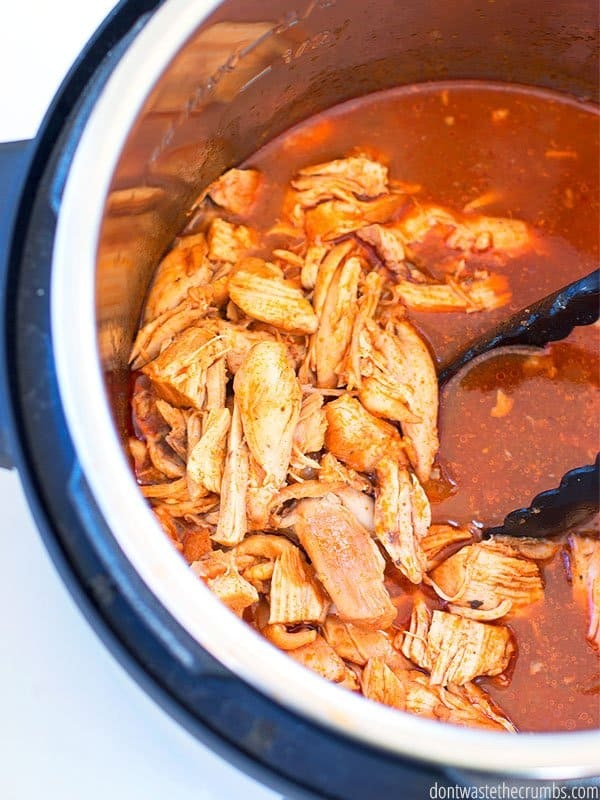 The very best carnitas you’ll ever have comes from this recipe and if you use chicken stock, it’s naturally Whole30 compliant. Go ahead and use a 3lb roast – you’re going to make it work for 3 meals. You’re going to serve it over baked sweet potatoes and garnish with diced tomatoes, cilantro, diced red onion and diced avocado. Pile that baby up friends, you can’t go wrong here. Tip: If you want to make the ranch dressing you need for Day 6 today, you can drizzle some of that on your stuffed sweet potatoes! Use up those leftovers, friends. 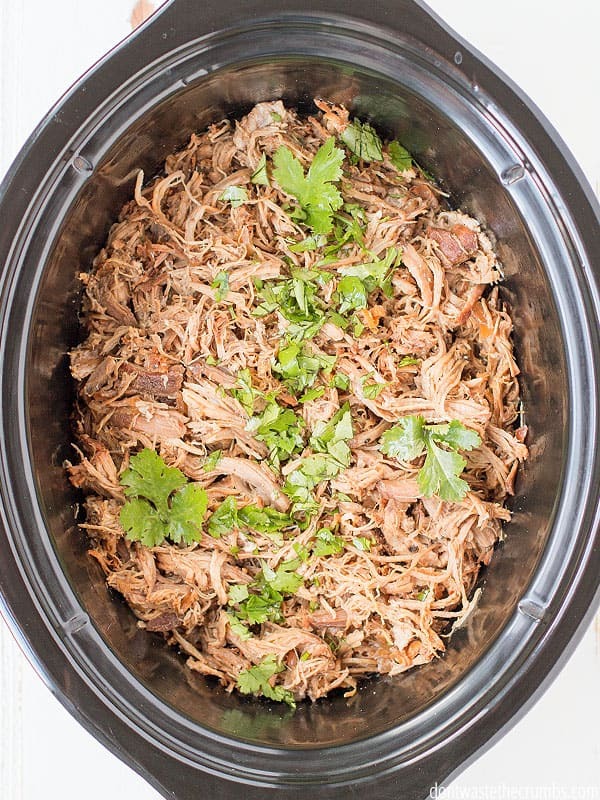 That carnitas recipes makes A LOT of meat and its DELICIOUS, so I know you won’t have a problem having leftovers for lunch. The best burgers I’ve ever had were simple 1 lb of ground beef with homemade Dry onion soup mix, so we’re doing that, but we’re doubling the recipe. I recommend using your KitchenAid mixer (or other stand mixer) to mix it all up for you. Divide the mixture into 8 patties and reserve half of them for lunch on Day 6. Here’s my recipe for guacamole and this is my method for pan-fried potatoes. When they’re done, add a little bit of additional fat to the skillet and cook the pineapple until it’s dark golden brown. A simple salad is just that – SIMPLE! You can add sliced cucumbers, grated carrots, halved cherry tomatoes or even fresh strawberries and blueberries. Whatever you want is fine, but you’ve done a lot of work so far so don’t feel compelled to make it any more complicated than it needs to be. Lettuce is a vegetable, and ranch makes it palatable. This homemade ranch dressing is Whole30 compliant and super delicious. Follow the same method as Day 4, but use up any onsie twosie vegetables you have in the fridge. By the end of the week, there’s inevitably a stray carrot, mushroom or a couple cherry tomatoes left. Use them up! Since I have to give you a shopping list, I recommend putting hard-boiled eggs, olives, tomatoes, sliced avocado and red onions. Chop up the hamburger into tiny pieces and you’re good to go. Leftover pork + 1 cup diced pineapple + ½ tsp ground ginger + ¼ tsp red pepper flakes + ½ tsp salt + ¼ tsp pepper + ½ tsp granulated garlic + ½ diced red onion. Add 1-6 Tbsp coconut aminos so that the mixture is wet enough to hold together, but not drenched. Serve it alongside Tex-mex Cauliflower rice, which is basically this simple recipe with homemade taco seasoning sprinkled liberally (my store-bought seasoning had added sugar, FYI). We’re keeping the salad simple again for the same reason as Day 6. Plus it’s Day 7, and you deserve the break, right? And that’s it folks! Happy eating!! Have you ever done the Whole30 before? What was the best dish you had at the time? Leave your ideas in the comments! This is a gift! Wow! It’s enough to inspire me to try it again, although I think I’d be tempted to make and freeze some of the meat ahead of time. Regardless, thank you SO MUCH for creating this meal plan! This is very inspiring. I’ve been working towards a more whole-food, low-carb diet myself, and trying to find some things my men like (I have a husband & 2 teen boys to feed) has been a challenge. I’m thinking of trying a couple of these! Thanks. 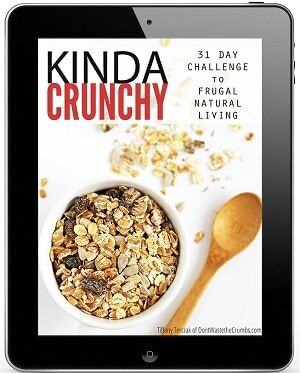 This is awesome and just bit the bullet and bought a instant pot because of your blog! Is there a link for the lemon spatchcock chicken? Tried searching the blog and couldn’t find anything. You’re so welcome Lauren! I hope you love the IP!! 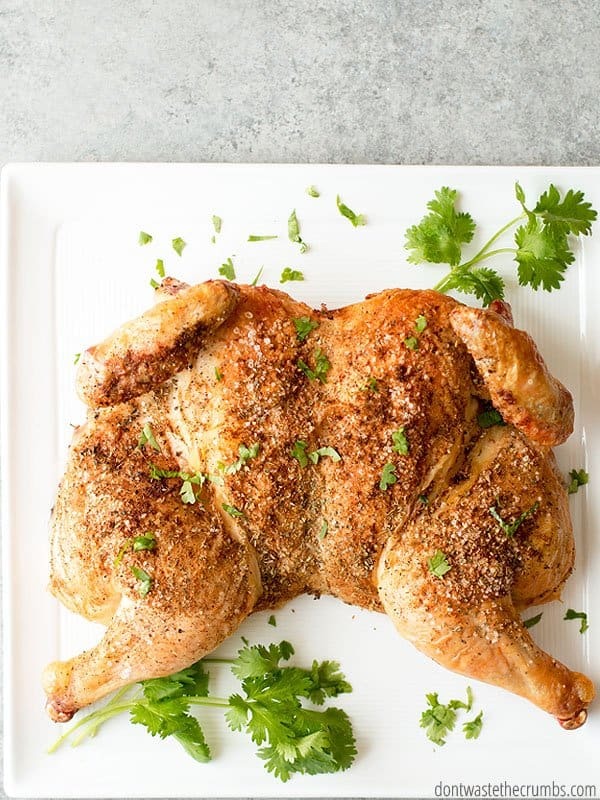 Here’s the recipe for spatchcock chicken: https://dontwastethecrumbs.com/2016/09/spatchcock-chicken/ I thinly slice lemon (or any citrus you have) and slide it in between the meat and skin of the legs and breasts. Sprinkle liberally with your favorite spices (salt, pepper and ground coriander go well with citrus!). Thank you so much for taking the time to share this! What did you do for your burgers made with the homemade onion mix since the “Better than bullion” has msg in it? Did you just leave the bouillon out? You’re welcome! You guessed it – I followed the recipe minus the bullion. 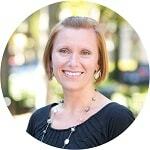 Your site is an awesome resource Tiffany, thank you! Is there a printer friendly version of this meal plan by any chance? Hi Denise! I just updated the post with the option to download a shopping list! This is great! Thank you so much. Love your blog. This was just what I was looking for! 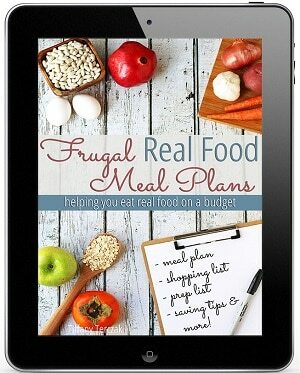 Thank you so much for posting such an easy to read, step by step outline of your meal plan! Is there a shopping list and I’m just missing it? Same here, didn’t see one. Hi Emily! I just updated the post with the option to download a shopping list! Same question. Do you have a shopping list for this? Its an amazing week of food but a little challenging to track if I buy everything. Thanks!! Hi Gabrielle! I just updated the post with the option to download a shopping list! Hi Sonia! I just updated the post with the option to download a shopping list! This looks great and very helpful. I entered my info but didn’t receive an email with the meal plan and shopping lists? Suggestions? Hi Ginny! I checked our emails, and I sent it to you on August 16th. Have you checked your Junk folder? Some email servers don’t like us! I’m having issues with receiving the shopping list as well. After I enter my information, I never get an email. I’ve checked my spam folders also and have tried twice. Is there any way you can send this to me? [email protected]. Thank you. I got the email with the meal plan and recipes but I am not seeing the shopping list. Please help. And thank you. Elizabeth, the shopping list is on page 3 of the plan and recipes, not a separate file. Hi Elizabeth! The shopping list is supposed to be with the meal plan and recipes. If it’s not, email us tiffany(at)dontwastethecrumbs(dot)com I’ll be happy to send you the revised file with the shopping list! I’ve modified this a little because I’m not that energetic to make so many different breakfasts. I’m just having a bowl of fruit (strawberries, blueberries, bananas, and a few blackberries/ raspberries with some walnut pieces) and boiled eggs. The first 3 days, I’m going to the Chicken Protein Salad for lunch. I shifted the Lemony Spatchcock Chicken, Roasted Rosemary Potatoes, Roasted Broccoli up to Day 3 dinner, so I could hopefully have enough leftover chicken for Day 4 and Day 5 lunches with Hawaiian Chicken Wraps. I need lunches that don’t require a microwave during the work week. I am very interested in other dinner recipes you used on the Whole 30. My kids are just doing the dinner meals with me. You said the recipes are for 2 people. I’m doubling the Egg Roll in a Bowl recipe which seems like an enormous amount of food for 4 people (plus leftovers). I guess I’ll see tomorrow if the recipe as written was meant for 4 people or 2 people. That’s the recipe that I’m more nervous about because I don’t like cabbage. There’s a lot of cabbage in that recipe! I would like another one of these Whole30 meal plans! Hi Amanda! As written, egg roll in a bowl feeds 4 people – heads up! I’ll update the post to reflect this… although it’s super tasty (don’t forget the spicy mayo!) and makes for great leftovers too. This looks great but both mf boyfriend and I don’t like eggs at all. Do you have an idea for a replacement thats not expensive and throwing the recipes off completely? Hi Pauline! 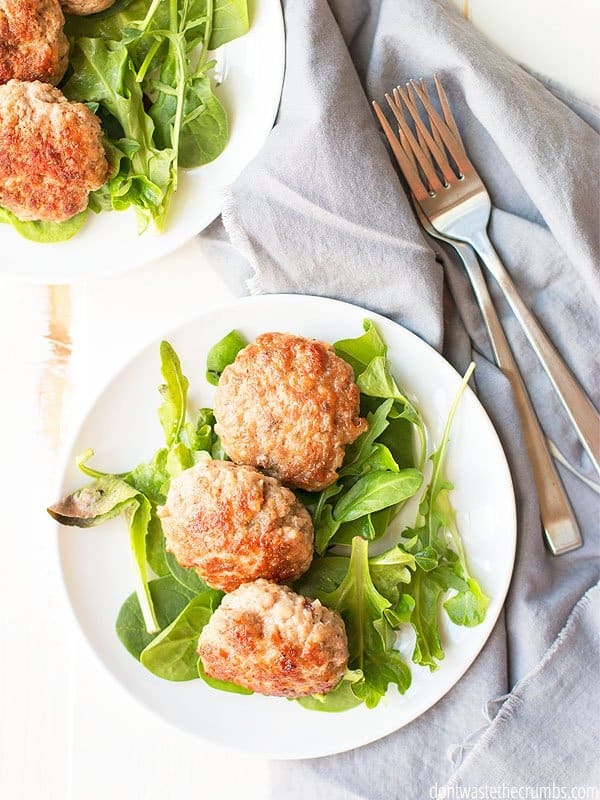 Skip the eggs on the hashes and add any protein you may have… extra chicken, tuna, salmon, etc. Or even having a package of compliant sausage on hand will help. The only recipe that I noticed that has eggs in it (and let me know if I missed one) is the baked apple sweet potato casserole. You can’t taste the eggs much in it, but if that’s a no-go, just make more hash. It’s really the most affordable meal of the bunch and can be customized with whatever you have on hand. 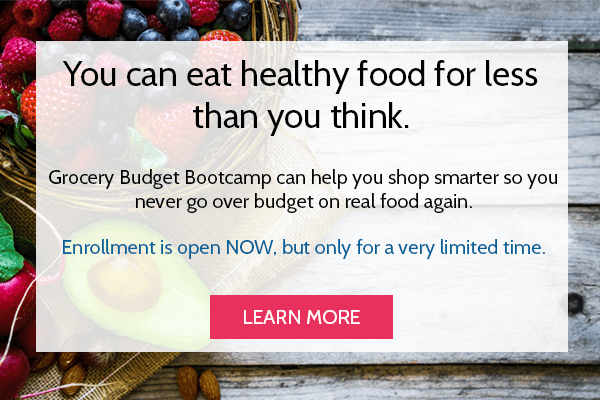 Enter your information below to have the Whole30 Meal Plan (including recipes and shopping list) delivered straight to your inbox. Send Me the Meal Plan!